21 years and over with four (4) O’ Levels including English and two (2) years relevant work experience. Students will also be required to attend pre-requisite courses before commencing the BTEC HND programme. All new students are required to attend a compulsory prerequisite semester at the start of the programme. This semester is designed to prepare individuals for the Higher National Diploma and to give an idea of what to expect within the BTEC programme. This registration fee with Pearson is valid for a 5-year period. Original certificates along with 2 copies. A Job Letter (mature entry route) and original CXC Certificates or any other academic qualifications. If your entry qualifications are satisfactory you would then be issued a Student Enrollment Ticket when registering. To complete your registration process you would then visit our Academic and Advisory Centre where you will be given an SBCS Registration Form (for registration with SBCS) to complete. The Pearson BTEC HND in Computing programme is taught using a blended approach of practical industry relevant experiences and academics. The course delivery includes lectures (inclusive of tutorials), in-class and online discussions, case study discussions, lab work, research work, group work, among others. All students will be guided at every step towards achieving their goals. Students will be assessed using written assignments/reports and presentations; both individual and group. 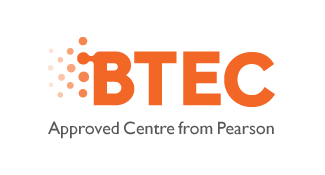 This BTEC qualification gives the specialist knowledge, skills, and confidence in the fields of Computing and Information Technology, allowing learners to make an impact in the modern workplace. Students have to successfully complete three (3) prerequisite courses and all 15 compulsory units in order to complete the BTEC HND in Computing programme. New students are accepted into the BTEC HND in Computing programme in September of every year for full-time (Champs Fleurs & San Fernando campuses) and part-time classes (Champs Fleurs campus, only).